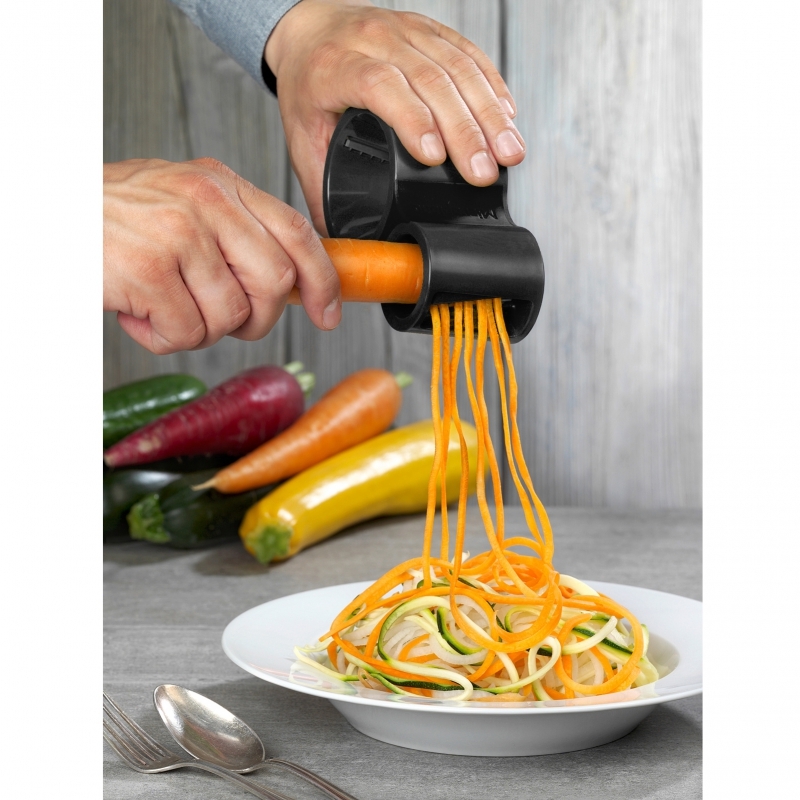 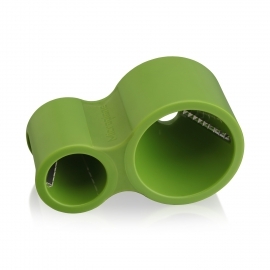 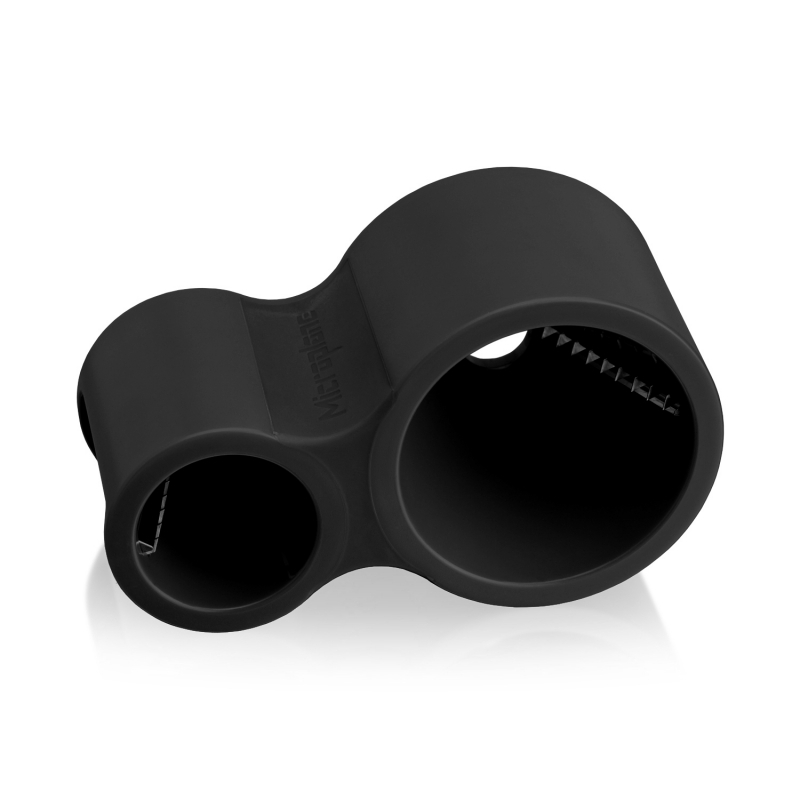 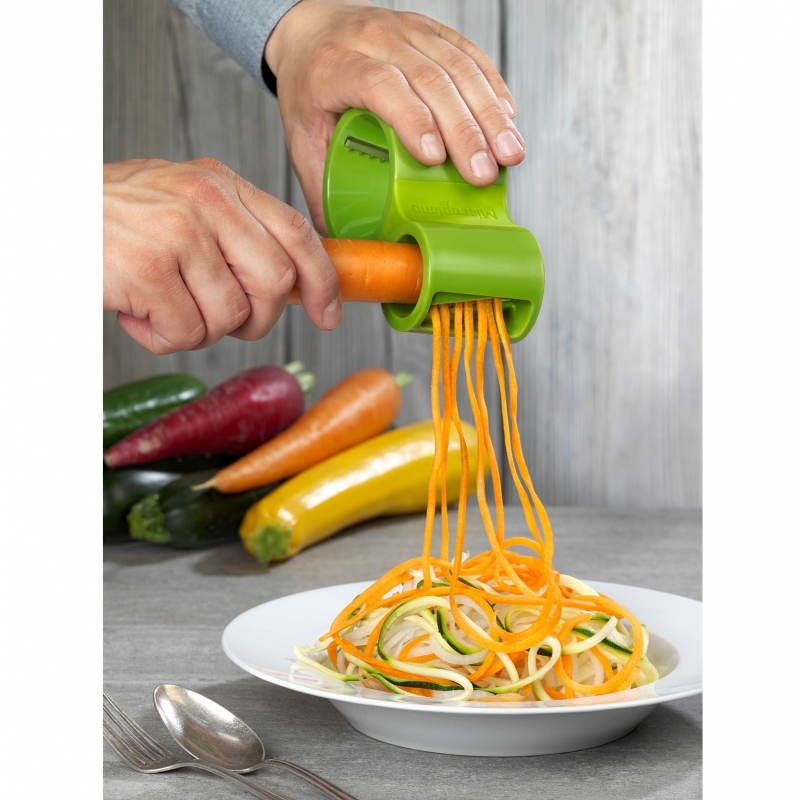 The microplane spiral cutter allows you to effortlessly create delicious spiral cut vegetables is seconds with the ultra sharp cutting blades. 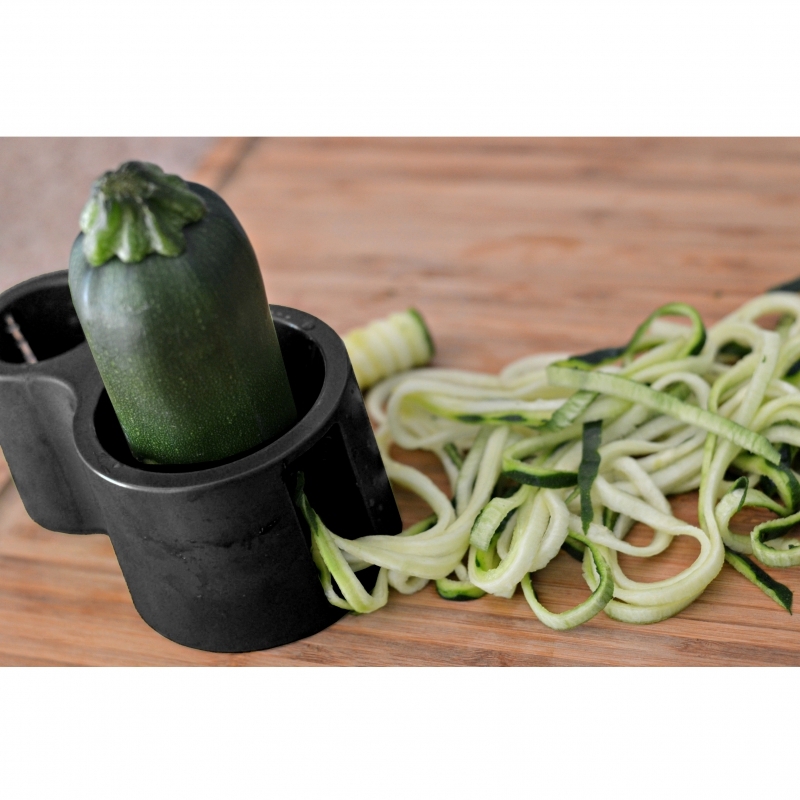 The smaller hole is intended for root vegetables such as carrots and parsnips while the larger hole is great for cougettes and cucumber. 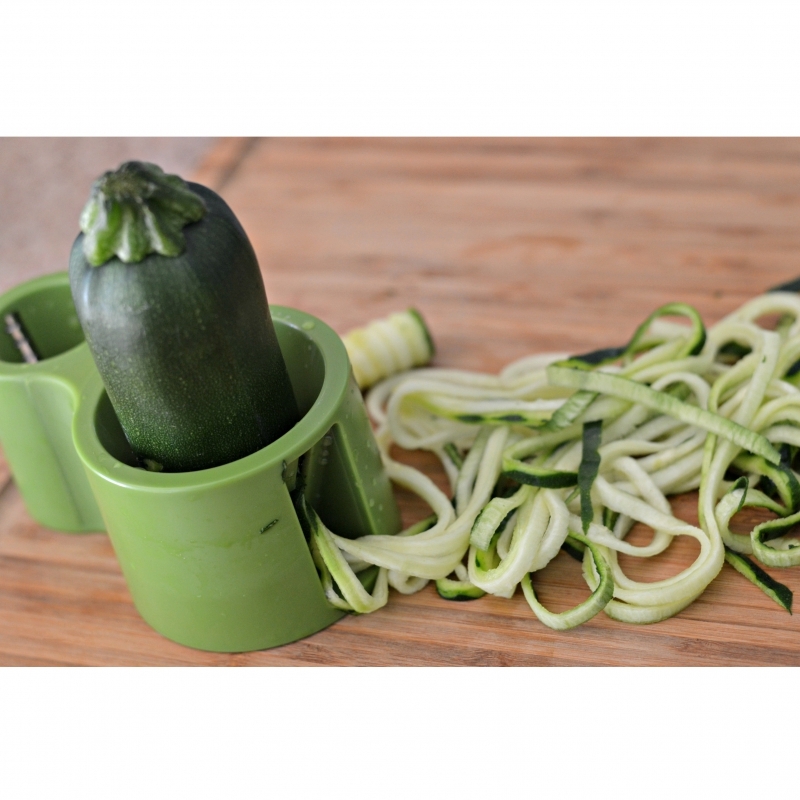 The ribboned veg is perfect for stir-frying, using in casseroles or stews and for replacing pasta for a lower carbohydrate version of your favourite dinners.